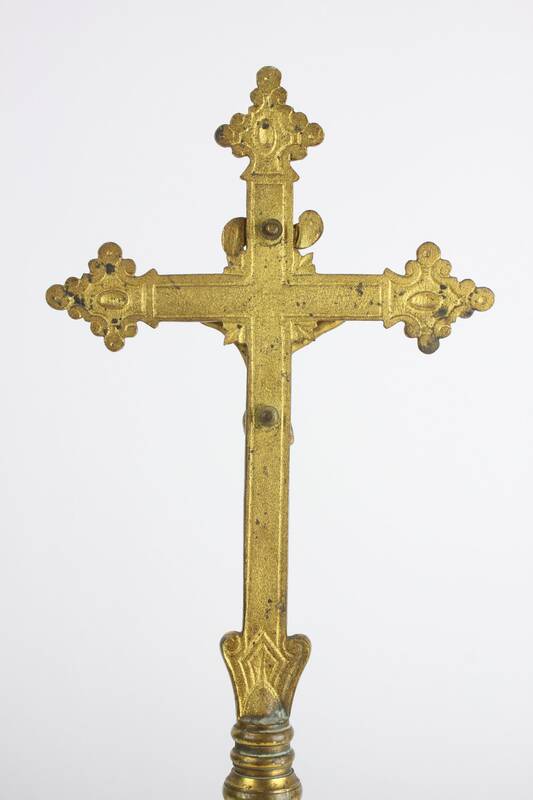 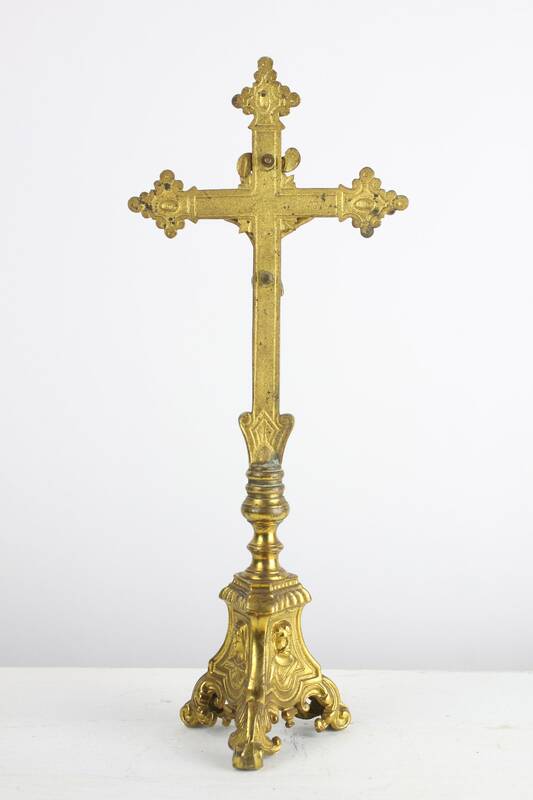 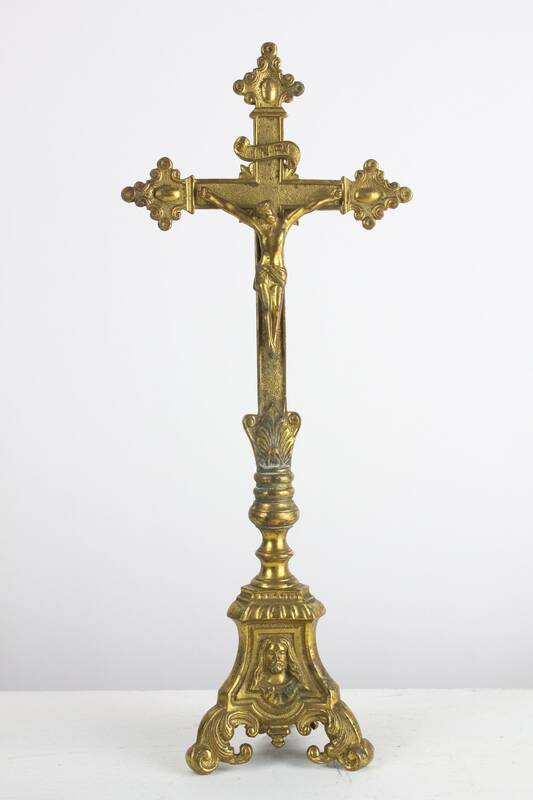 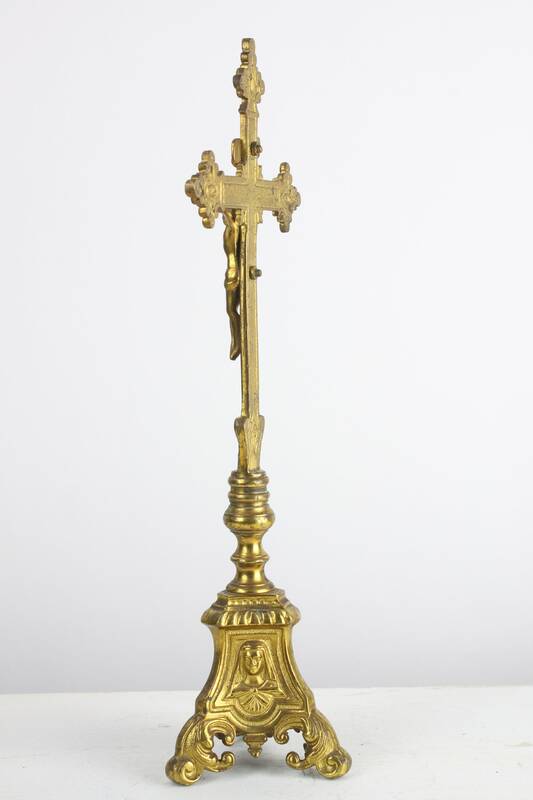 This amazing altar crucifix is a stunning example late 19th century craftsmanship! 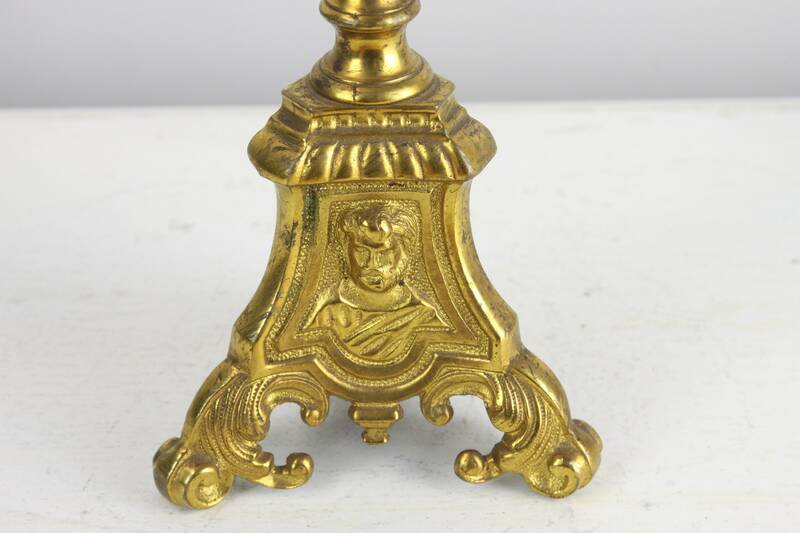 This piece was most likely produced some time around the 1880's and features the highest quality of materials and construction. 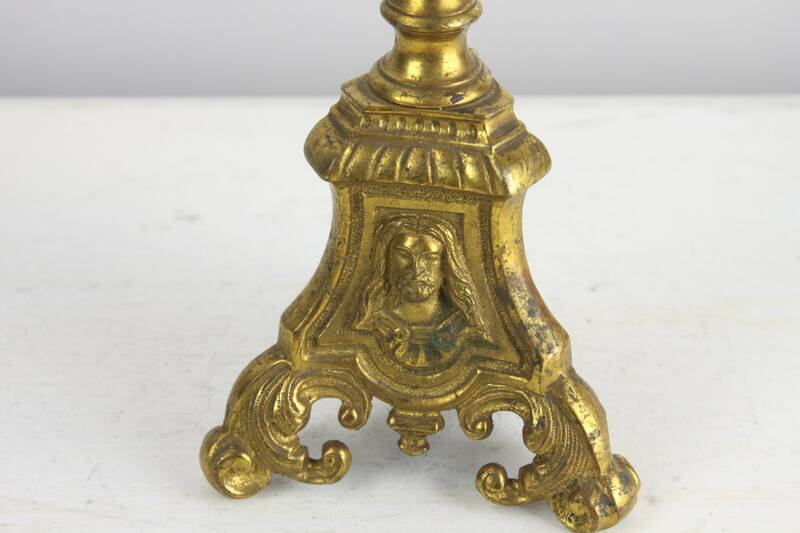 This piece is comprised of a casted and hand refined brass and is a prime example of Master Whitesmithing. 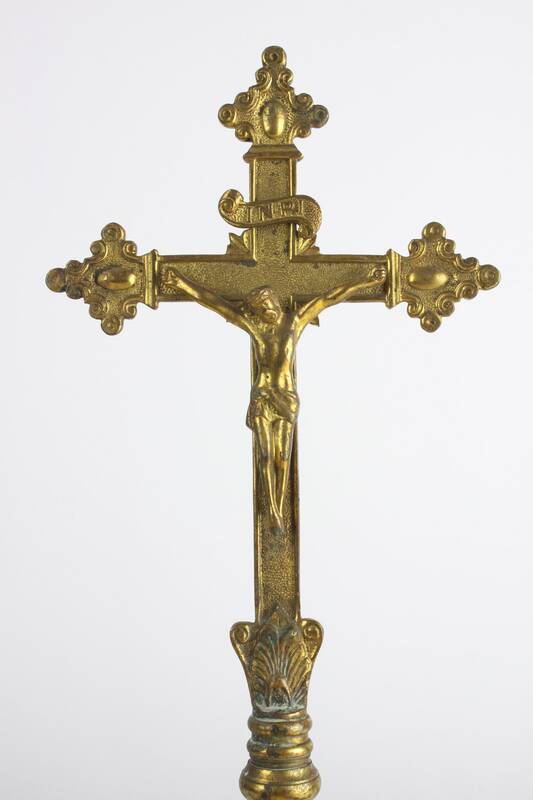 This exceptional crucifix is made in the trefly style with Bottonee (bottonny) ends on each arm and features handsome Art Nouveau accents! 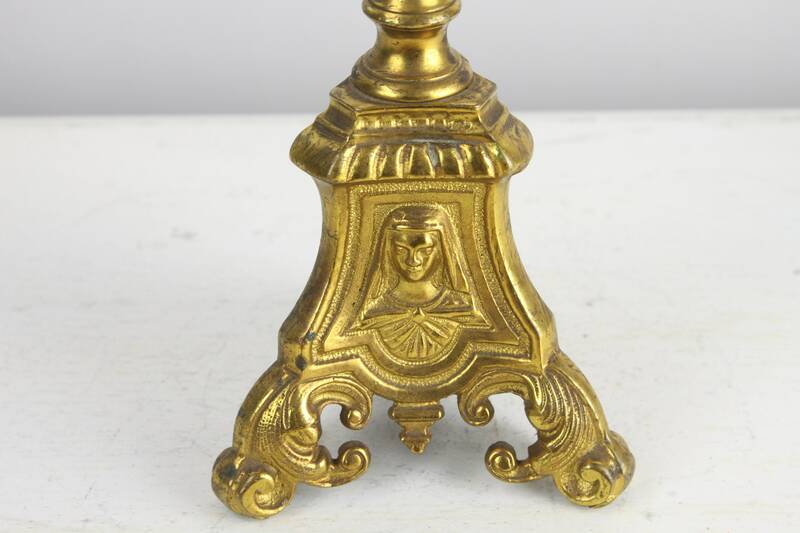 The base is made in a French style and displays the portrait of Jesus, Mary & Joseph. 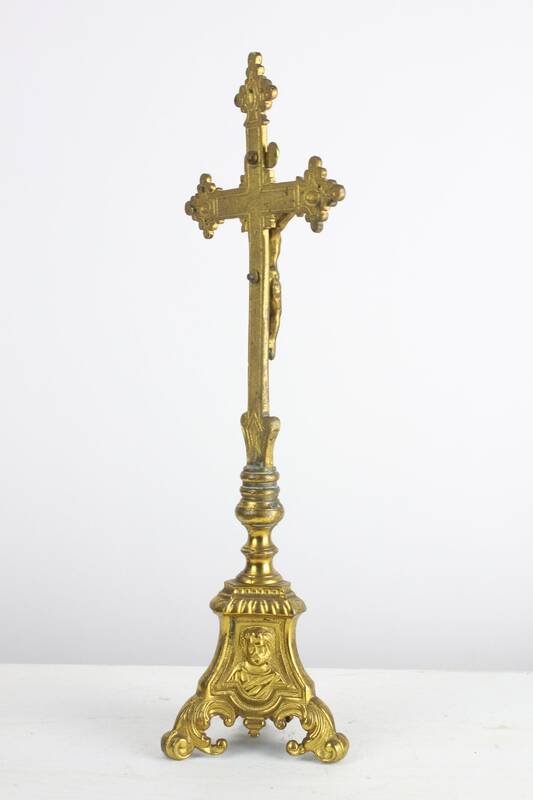 Truly, this altar crucifix is a wonder to behold! 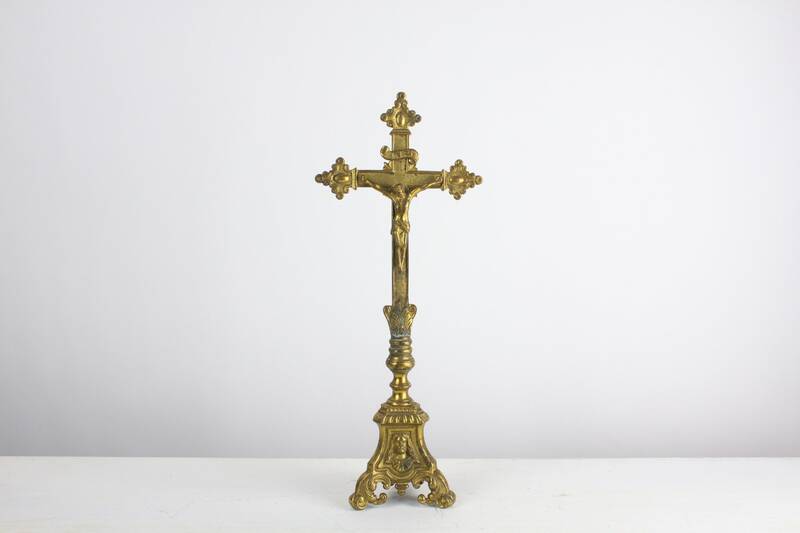 whether you are looking for a piece to add to your collection, a prop for your next shoot or you just want something awesome to decorate your home - This altar crucifix has everything you are looking for and more!